Went to my first hot air balloon event. I don't think there are very many of these in NE due to our wind issues here. Even this event struggled because of wind. 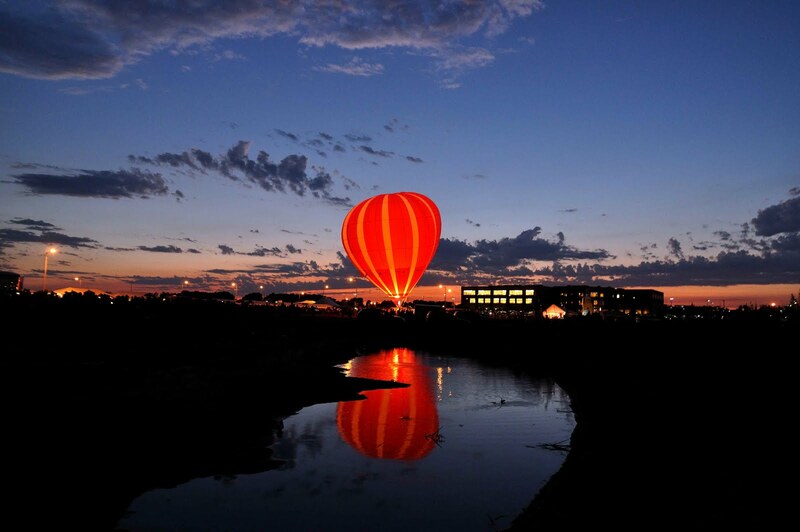 It was too windy to launch any balloons and then a couple of pilots tried to do a night glow. This was captured hand held - pushed it to 800 ISO. One of the keys to this shot was finding the little bit of water in the foreground. We are out on this campus that is mostly just dirt and grass. There was this patch of water that I had seen earlier in the evening. All of a sudden I remembered where it was and decided to check it out. Sure enough - I could get high enough to get a reflection. When shooting an event - check out your surroundings. You never know what you might find.